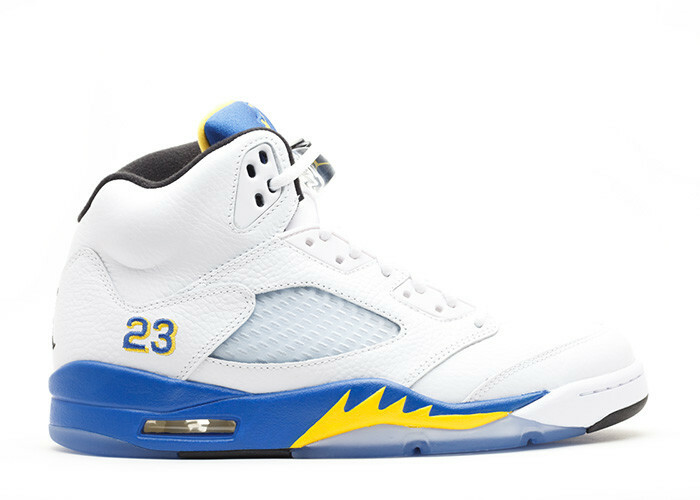 The Air Jordan 5 Laney is inspired by Jordan's old high school. The sneaker sports a bold combination of his old school colors. Dressed up in a white tumbled leather appearance, varsity blue and yellow finishes really make this a great sneaker. What may be one of the cleanest colorways of the Air Jordan 5, the original 2000 release will forever be engraved in the archives.